Frida’s life was filled with pain because of her childhood polio and a devastating bus crash at 18 years old. 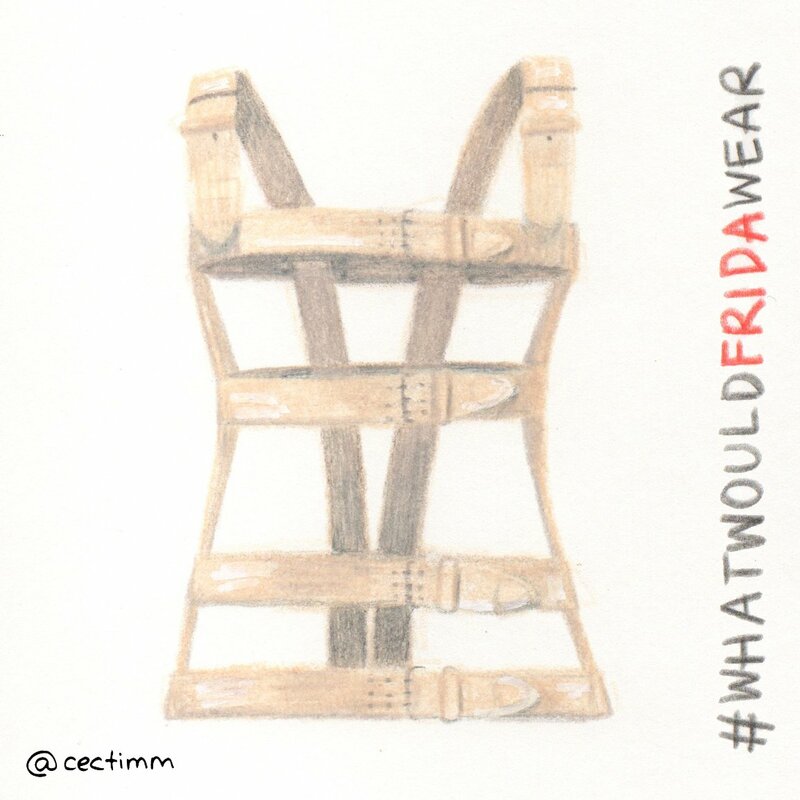 After months of wearing a body cast and being confined to bed, she spent time in a wheelchair and wore different kinds of back braces to help support her agonising back. I was prescribed a brace like this for my back after my car accident that was filled with steel rods (looked amazingly similar) but I did not have to wear it for long. 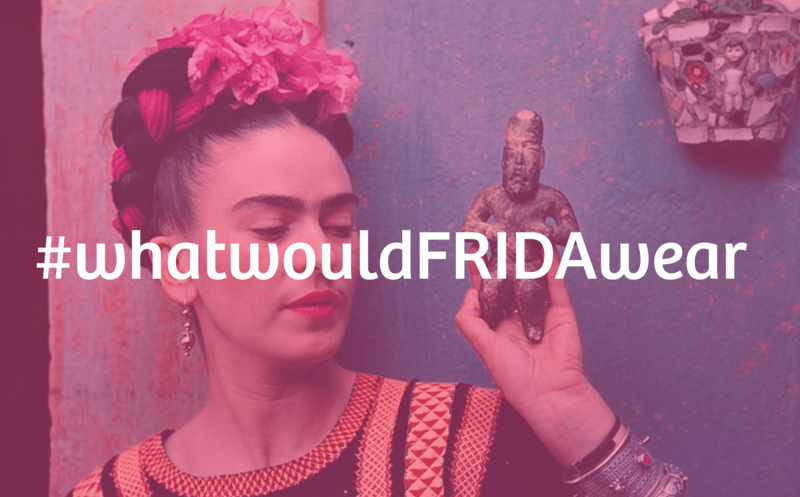 Maybe that’s why I feel a keen connection to Frida… an understanding of constant pain and how it can both inhibit and liberate creativity ♥ A lot of her fashion choices were made to conceal her pain, disability and necessary supports. It seems she did a great job of accepting her circumstance and making the most of it. This is one of the many reasons why she endures as an amazing and strong woman from history.